The big release this week is obviously War of Realms #1! It’s a universe-encompassing event that looks to dominate Marvel Comics for the next few months. 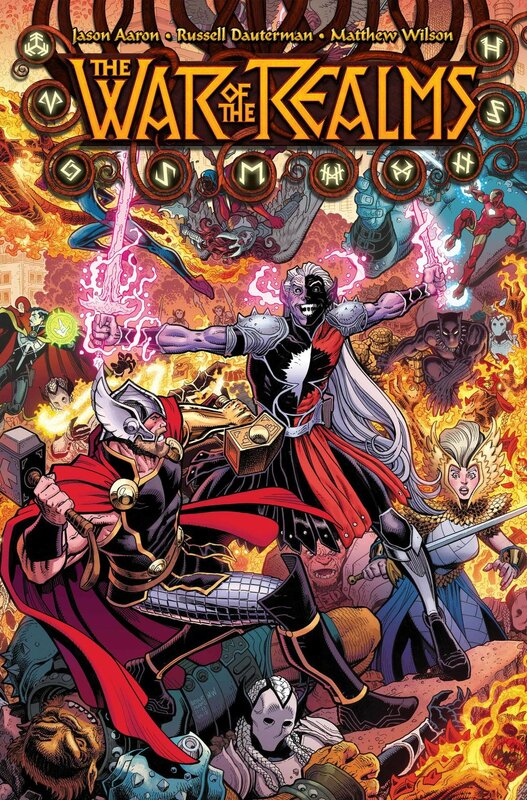 All hell breaks loose in New York City as Malekith and his allies begin their invasion - and the greatest heroes of the Marvel Universe watch as the Earth falls! Also from the House of Ideas comes Marvel Team-Up #1! Eve L. Ewing (Ironheart) and Joey Vazquez (Spider-Geddon) team up for the first thrilling arc of a mind-bending and magnificent new series! Starring Spider-Man and Ms. Marvel! Over at Image, don’t miss Walking Dead #190 and Die #5, plus Section Zero #1, which Image is calling"Jack Kirby-does-The-X-Files"! From one of comics' classic creative teams: Karl Kesel (Harley Quinn, Superboy) and Tom Grummett (The Death of Superman, Superboy)! Plenty more, too, check out the full list below! Click here to see a tentative list of new comics shipping next Wednesday, April 10!